In October 1914, a 23-year-old violin virtuoso left Ireland and came to America. His archaic but lively style led to an enthusiastic following. His recordings of traditional Irish music boomeranged back to the Emerald Isle, inspiring both the preservation and the development of Gaelic music, culture, and language. Coleman came from a musical family in the Knockgrania, near Ballymore in County Sligo. His father was a locally renowned traditional flautist. 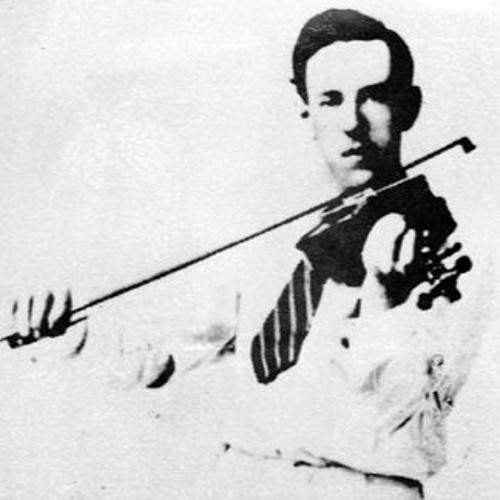 Coleman was trained as a child both in fiddle playing and in step dancing. This the fiddler of the time would combine in live performance, roaming from town to town as an entertainer. When the young man joined the vaudeville circuit in America, he found a universe of “stage Irishmen.” The first massive wave of Irish immigration to America took place in the 1850s, triggering the first of the many anti-immigrant political movements in the United States. “No Irish need apply” was a sign seen in many shop windows. In popular culture, the Irishman was a boggy beast, a cartoonish figure who was uncouth, drunken, prone to fisticuffs, and prolifically fertile. By the time Coleman made it over, despite the integration of Irish-Americans into the culture and power structure, this stereotype was still in place and beloved. “Throw ‘em Down M’Closkey” and “The Mulligan Guards” resounded everywhere. However, a New York City record-store owner named Ellen O’Byrne thought she could sell authentic Irish music to those hungry for the sounds of home. She encouraged Coleman, and they both cleaned up. “The Boys of the Lough” has become an archetypal reel, and “Ennistymon” remains a preeminent jig. Coleman’s is what is now termed the Sligo style of Irish fiddling, brisk and slashing, with lots of ornamental trills and triplets, bursting into chords at the ends of lines, like someone wielding a firework in the dark. This is not lyrical, legato stuff — it’s straight-up dance music, and it’s easy to imagine the hammering beats of Coleman’s feet accompanying his playing. There’s life in it. Most surprising of all, his records sold the most in Ireland itself. As such, his work still stands as a bridge between ancient tunes and modern times. He preserved the old tunes, but he made them his own as well, imprinting them with his unique style. (Observe the parallel with the previous discussed Texas fiddler Eck Robertson, who performed a similar role for American country music.) Ironically, his education in antique technique turned out to be the sound of the future. The National Recording Registry Project tracks one writer’s expedition through all the recordings in the National Recording Registry in chronological order. Up next: The Okeh Laughing Record.